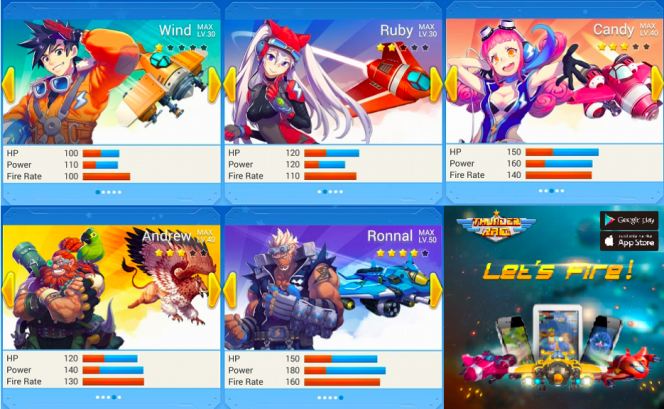 You can also play Thunder Raid with your WeChat friends combining your ships for the ultimate attack power! The more friends you play with, the stronger your force. But for the more competitive individuals out there, choose to battle it out against your friends to unveil the ultimate fighter. Are you ready to pilot your way to victory? Download Thunder Raid in the App Store and on Google Play. Now available in: Malaysia, Indonesia, Singapore, Hong Kong, Thailand, Saudi Arabia, United Arab Emirates, Oman and Turkey.